Inshore fishing at its finest! We will be fishing in the local passes for grouper and tarpon where the water is deeper, or we can quickly change things up and be fishing some of the best flats in southwest Florida. Flourishing shallow water grass flats with oyster bars, and sand bars filled with beauty and life. A natural estuary abundant with all species of fish. Tarpon, snook, redfish, trout and sharks just to name a few. Inshore we fish out of a late model 22′ Sterling flats-style boat, powered with a new Yamaha 225 SHO, plus a 25′ Morgan custom inshore charter boat. 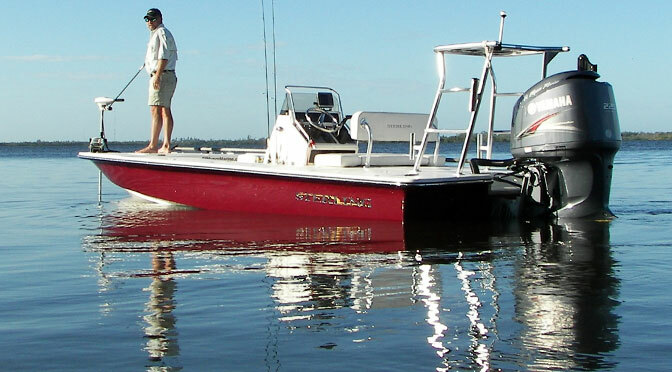 These are the largest and most comfortable inshore boats on the water, designed to smoothly traverse the shallow waters of Sanibel, and Captiva Island. They move silently through mere inches of water, allowing us to get closer to the fish than any other type of boat. This allows our anglers the best possible opportunity to cast directly to the spots that are holding fish. Both are spacious, allowing up to 3 anglers to easily move around and cast. Everyone enjoys the over-padded seats with backrest, something you rarely find on a hard-core fishing boat. Captain Sean O’Connor is a full time guide who worked several years with captain Greg Hood as a first mate. Sean has a gift of working well with any age client and avid angler. Sean loves the water and snorkeling too. Which gives him an advantage to those near shore wrecks. Always a good excursion with Captain Sean O’Connor. Capt. Cliff is a second generation Southwest Florida native fishing guide. He grew up fishing the Pine Island Sound, Charlotte Harbor area with his Dad. 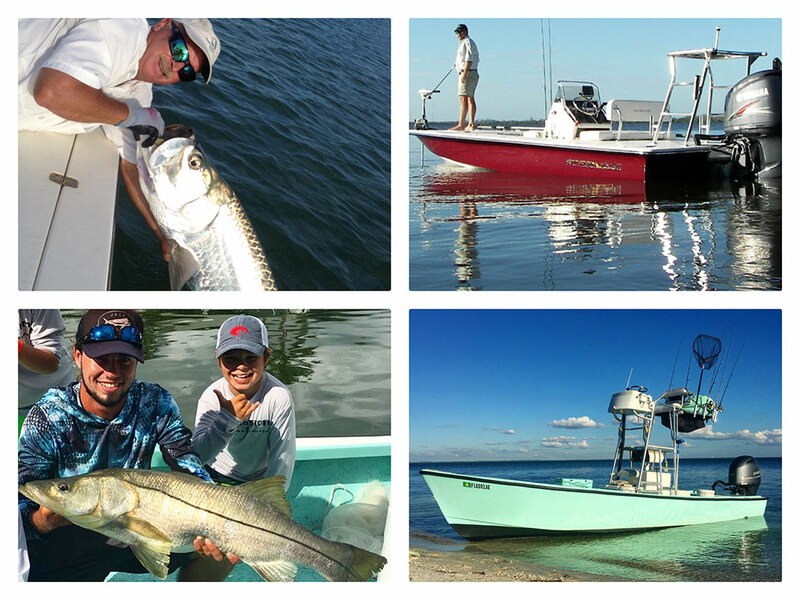 This time on the water enstilled an obsession for catching Southwest Florida gamefish. 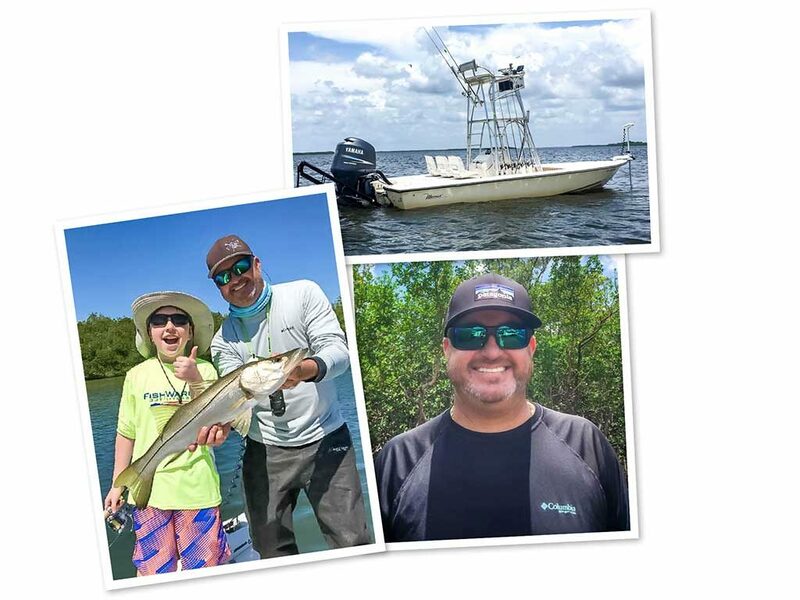 Snook, Tarpon, Redfish, and Seatrout are his specialty, and he loves to take kids fishing! Cliff has amassed a loyal group of clients mostly by word of mouth. He believes that hard work even on the tough days makes for great fishing. Capt Cliff fishes out of a 21 Maverick Master Angler which can safely handle the bay, but can also get into the skinny flats of the Backcountry. Previous PostSanibel Offshore FishingNext PostHot and Fishy !